Do you sit all day? We’re sorry to tell you this, but you probably don’t have a healthy lifestyle. When you think about it, the time we spend in the office often exceeds the amount of time we spend at home. When you occupy an environment for an extended period of time it’s easy to slip into unhealthy occupational habits. Especially if they’re habits your co-workers have as well. 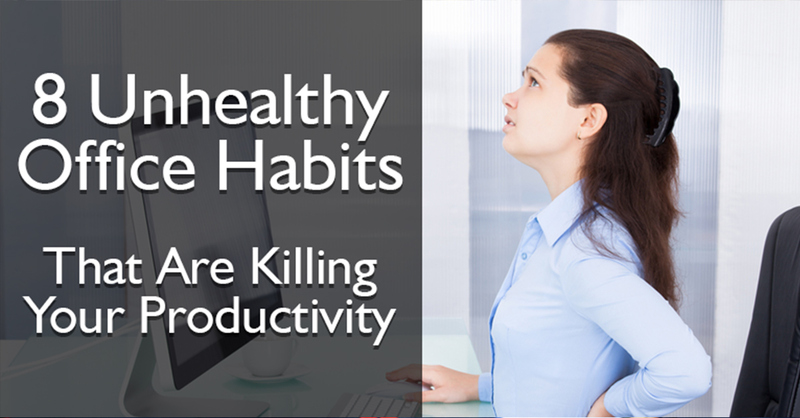 Unhealthy habits are like a virus and before you know it you have a whole office infected. Unhealthy office habits aren’t just bad for employees, they’re bad for productivity and business operations as well. There are a few simple changes the everyday employee can make to adjust their lifestyle at work and home. It’s all about battling the unhealthy habits we are all guilty of. Believe it or not there is such a thing as being over-connected. Although, we may resist it, we really do need down time after work to mentally recharge for the next day. Office workers tend to spend 8 hours in front of a screen. Even on their lunch breaks they scroll through their phone on Facebook or Twitter. The social updates, notifications and emails just don’t stop, even at home (Where Netflix lives). Solution: Ditch your phone and turn off your TV for a few hours a week. Schedule time away from technology. 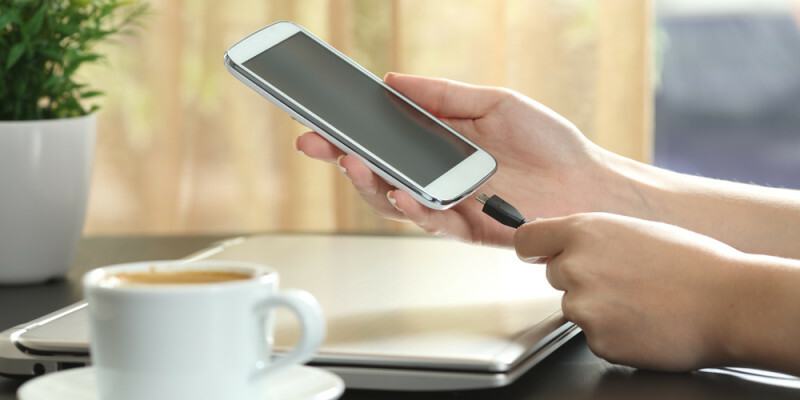 Whether you want to do a complete digital detox to break your addition, or just a digital diet to set boundaries, your phone needs a time out. Have ‘device-free’ times during meal times an hour before bed time. Read a book, play a board game, go for a run or play with your pets or children. Time is passing you by when you’re constantly glued to a screen. Make your time valuable again. Desk jobs might not be as strenuous as physical labour, but that doesn’t mean office workers aren’t prone to physical strain. Back, neck and hip pain are often the result of slouching and having poor posture for extended periods of time. Prolonged sitting, especially with your legs crossed, can restrict blood flow and put more pressure on your joints. Solution: Invest in an ergonomic chair, preferably one that allows for height adjustment, seat depth as well as arm and back height adjustment. That way you can customise the settings to what is ideal for you. -Ensure your feet are placed flat on the ground and your legs aren’t hyperextended. -Sit with your back upright and straight against your chair’s backrest. -Adjust your screen height and distance so you aren’t too close or looking down at the screen, which will increase the likelihood of slouching. 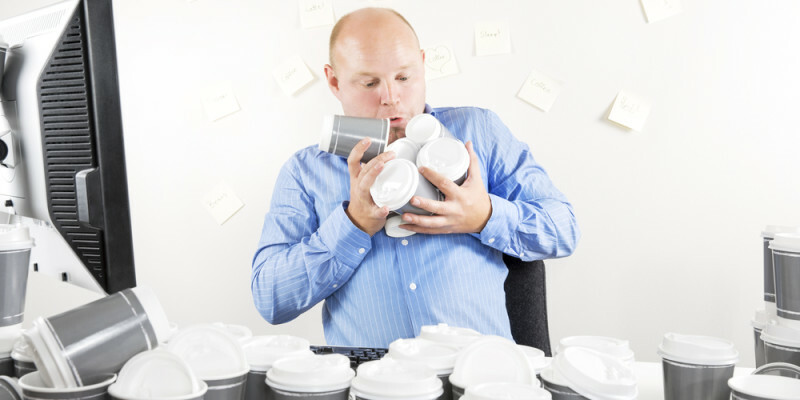 Some people live for that caffeine fix in the morning and often can’t function without it. That’s completely fine. Everything in moderation. Be warned though, drinking too much coffee can lead to headaches, restlessness, cardiac arrhythmia, insomnia, increased blood pressure and dehydration. Ever wondered why you have a raging headache and feel a little woozy? Chances are you’ve drunk too much coffee and are dehydrated. Solution: 400 milligrams of caffeine is the safest amount adults can consume on a daily basis. So about 3-4 cups of brewed coffee. It’s important to make sure you drink water regularly, even if you don’t consume that much coffee. Try switching to tea half way during the day (especially herbal ones like green tea or jasmine) or bring a litre bottle of water to work and challenge yourself to drink all of it by the end of the day. 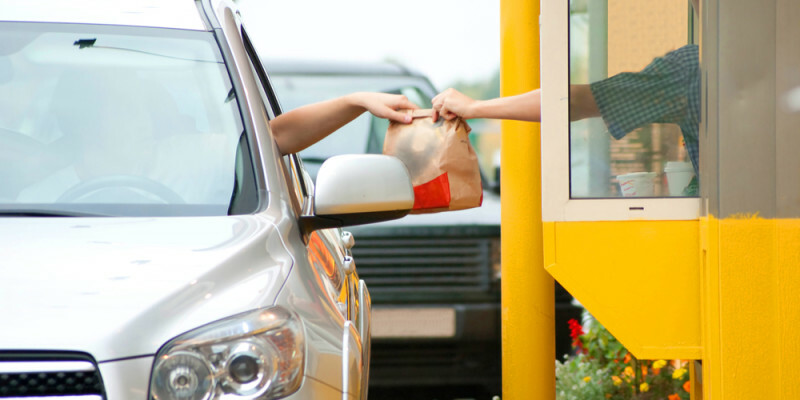 Hitting the drive-thru can seem like a brilliant time-saver on your 30-minute lunch break. We live in a convenient world that often makes our lives easier. Unfortunately, this habit can lead to a variety of health issues including weight gain from consuming too much sugar, saturated fat and sodium. Solution: Instead, why don’t you plan ahead and pack a healthy lunch at home? There are heaps of quick and simple healthy lunch recipes online. If you’re into meal prepping and want to save time, you can have a big cook up on Sunday and freeze your meals in containers ready for the week. Often we struggle to concentrate on a task when we’re hungry. Curb those fast food cravings by drinking water or keeping a small stash of snacks like low-sugar protein bars or nuts in your desk drawers. Some people say messy desks are the calling cards of creative geniuses like Mark Zuckerberg or Einstein. Working in chaos might suite some people but for the vast majority of people having an unorganised desk is a real hindrance on productivity. Especially when you have ‘urgent’ marked sticky-notes buried under plates, used tissues, coffee rings, stacks of paper and folders. Not to mention its unhygienic and a contributing factor to the spread of germs. Solution: Adopt the practice of Feng Shui when decluttering and organising your office. Clutter causes fatigue and the placement of objects such as personal photos or artwork or greenery can really influence your flow of oxygen, energy and ideas. Everything should have a place, whether it is stored away in a mobile pedestal or an In-Out tray. Make sure you have a sufficient supply of office stationary supplies like pens, highlighters, scissors, stapler & sticky notes as well. Why stop at your desk? Feng Shui your whole office! It’s no secret that a sedentary lifestyle can lead to all kinds of health issues such as muscular skeletal disorders, obesity, diabetes and heart disease. The typical office job involves you sitting at a desk for 8 hours a day with minimal intermissions of getting up to use the restroom, go to the printer or make a coffee. A study by Sydney University of more than 16,000 Australians revealed that only 1 in 4 met physical activity guidelines. National guidelines recommend 2 and half hours of moderate exercise a week. Solution: Take regular walking breaks throughout the day. Getting up and moving around for 5 minutes every hour can help you focus better when you come back to your desk. Invest in a Sit-Stand Desk and actually use it to avoid sitting for long periods of time. Outside of work hours, incorporating moderate exercise like jogging, running, swimming or cycling into your week will ensure you get the exercise you need to feel healthier and more energised at work. You can even commit to an exercise regime before or after work with your co-workers to keep each other motivated. Providing treats to employees can be a nice gesture and fun social bonding experience in the office. 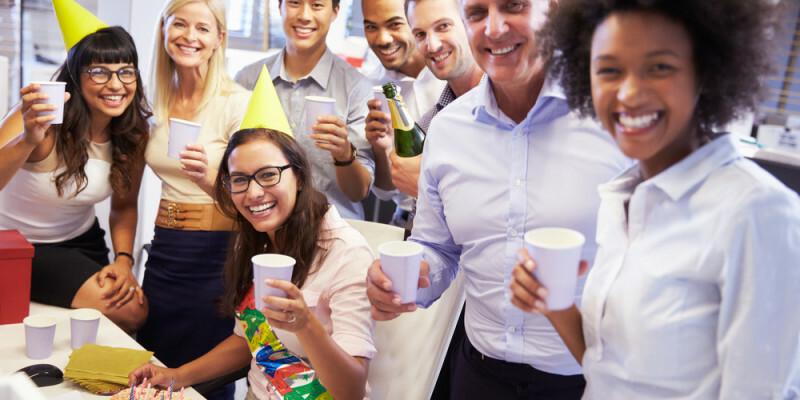 Employees feel obligated to partake in office celebrations that center around food, even when they’re trying to eat healthy. Birthday cake, baked goods, cheese platters and pizza on a regular basis can seriously ruin your diet (especially when it’s free and so readily available). It can be much harder to say ‘no’ when everyone is doing it. Especially when cake is so delicious. Solution: Consider providing some healthy options along with the less healthy treats in the break room. Include a tray of veggie sticks and hummus or a fruit platter during celebration events. Or even just have a bowl of fresh fruit in the break room as a free snack. Our mental state has a significant impact upon how we function in our everyday lives. Work related stress not only has a detrimental effect on the health and well-being of employees, but also productivity and operations. 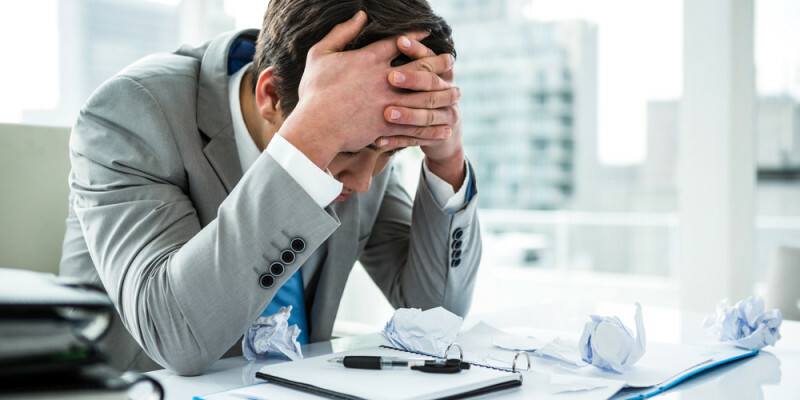 Experiencing work related stress on a regular basis can be a serious health risk to employees, especially when some of the symptoms include fatigue, muscular tension, headaches and heart palpitations leading to heart attacks, depression, anxiety and cognitive difficulties. Work related stress is also intrinsically linked to the deterioration of mental health. According to an ABS study, 45% of Australians between the ages of 16-85 will experience a mental health issue in their lifetime. Overall, 21% of employees report that they have taken time off work due to feeling mentally unwell in the past 12 months. Solution: Talking about your concerns with your employer or human resources manager can be a good start towards lessening or eliminating some of the causes of work related stress. Commit to take care of yourself. Make time to de-stress or meditate, eat a healthy diet and exercise regularly. Or if symptoms persist, seek professional counselling from a psychologist.